The Hong Kong Cricket Club will tour Shanghai August 19-21 to play the Shangahi Cricket Club for the Bokhara Memorial Bell Trophy. The SCC and HKCC first played each other in 1866 as part of the Interport series of cricket matches between Shanghai, Hong Kong and Singapore. The two clubs have met a total of 42 times; 38 times from 1866 to 1949, and four times since 1994. HKCC will arrive on Friday night with welcome drinks to be held at The Member’s End in the Camel Sports Bar. Saturday will feature the 50 over Bokhara Bell Interport Match between HKCC and SCC at the Shanghai Rugby Football Club at 10:30 am, followed by a reception dinner at the Member’s End. 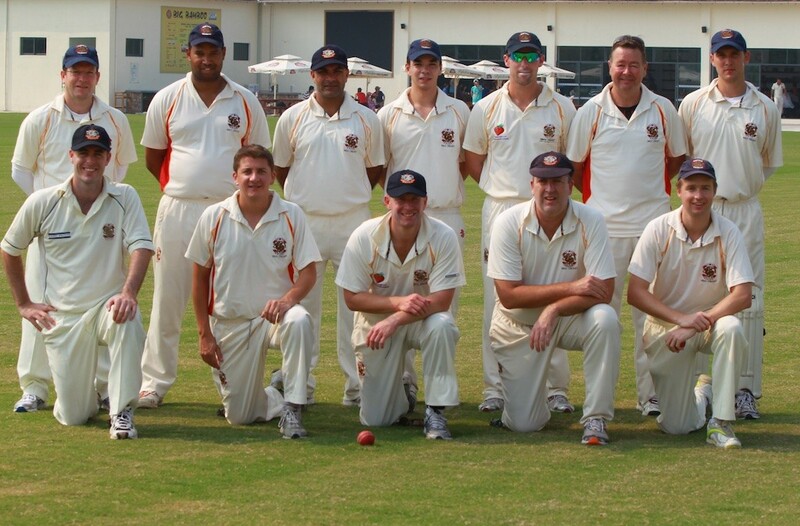 Sunday will feature a Twenty20 match between the tourists and the SCC Pirates starting at 10 am. The SCC has put together a big weekend of activities to coincide with HKCC’s historic tour of Shanghai. Complimentary bus transportation to and from the ground will be available on Saturday and Sunday morning, with buses departing from the Camel Sports Bar at 9:30 am for players and 10:30 am for supporters on Saturday and 9 am for players and 10 am for supporters on Sunday. A full breakfast buffet (50 RMB) will be available at the Camel prior to departure both days. Refreshments, drinks specials and a BBQ lunch will be served at the ground both days and a bouncy castle, paddling pool, trampoline and plenty of sun shades will be provided for children of all ages. Following the 50 over Bokhara Bell match on Saturday, a reception dinner will be held at the Camel as well as the presentation of the Bokhara Bell Trophy. A buffet dinner of roast beef, chicken and mixed vegetables (150 RMB) will be served from 7:30 pm and happy hour drinks provided until 10:30 pm. HKCC was founded in 1851, making it one of the first cricket clubs outside England. It has over 2,300 members and provides a range of sports and social activities at its facilities in the heart of Hong Kong Island. In addition to Interport and friendly matches, HKCC has three teams in the domestic Saturday League and two teams in the Sunday League. The SS Bokhara sank off the coast of Sand Island, Formosa on October 10, 1892 en route to Hong Kong from Shanghai. Of the 125 people who perished on board, 11 were members of an HKCC team returning from an Interport match against the SCC. When the two clubs reestablished relations in 2003 following a 55-year hiatus, a trophy bearing the name of the ship was created to honour the memory of the team.